The “batteries included but removable” philosophy around which Docker Inc. says it based its development strategy, might not mean very much if the batteries that are included are the “preferred” variety. You could remove them, but why? 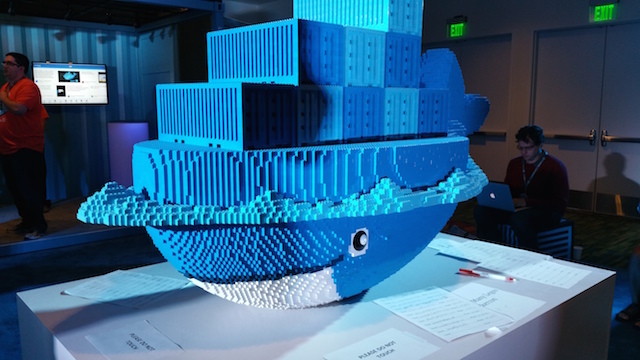 When Docker Inc. purchased SocketPlane last February, it said its intent was to instill the company with the talent necessary for it to develop an API around networking. That worried many in the community that Weaveworks — among the most visible contributors to containers’ networking capability — would be relegated to “also-ran” status, or as a provider of “substitute batteries,” if you will. 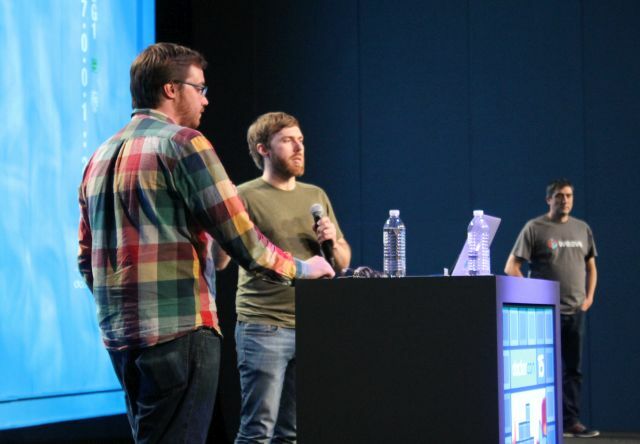 Monday at DockerCon 2015, Weaveworks CEO Alexis Richardson took the stage with Flocker maker ClusterHQ’s CTO Luke Marsden and Glider Labs principal Jeff Lindsay, in the first public demonstration of the most recent iteration of Docker containers with support for a new and more “composable” form of plugins. This new iteration is the culmination of a project begun at ClusterHQ called PowerStrip, with the goal of enabling extensibility specifically so that containers could retain their states once moved. Left to Right: Jeff Lindsay, Luke Marsden and Alexis Richardson. In practice, explained Glider Labs’ Lindsay, every application presents the world with a different profile. Although storage and networking are common domains for extensibility, there are tremendous arrays of options for both, each of which may have its own complications. Because extensibility requirements can be so particular, it’s possible that no single vocabulary of API functions may be able to satisfy all foreseeable vendors’ solutions. Left to Right: Luke Marsden, Jeff Lindsay and Alexis Richardson. In a demo Monday, the developers showed how Flocker and Weave could be utilized together, truly for the first time, in a scenario that container managers may soon face in the order of everyday management. A container providing a web site is moved from one location to another. Along the way, it would be ideal if it were to maintain its existing state, as well as maintain links to the database which had already been bound to its existing session. Flocker provides what ClusterHQ calls ‘container data management,’ while Weave provides a container-oriented form of SDN. Both would have to work seamlessly in order for the transfer to work. Although technically it may be inaccurate to say so, what appeared to happen from the web site user’s perspective was a form of live migration — a method that VMware virtual machines undergo regularly, and which is a hallmark of truly fluid cloud platforms. In any event, during the demo, the web site container moved from one IP address to another (Weave) while retaining its links to its state and its underlying database (Flocker). “Here’s another piece of the puzzle to get enterprise apps into production,” said Weaveworks’ Richardson: “You’ve got an app, you’ve containerized it, and now you need it to be available, reliable, maintainable, you need to update it. You will need to manage state. What we’re showing you today is one solution to that.” He conceded that these new plugins are presently experimental, but nevertheless functional. 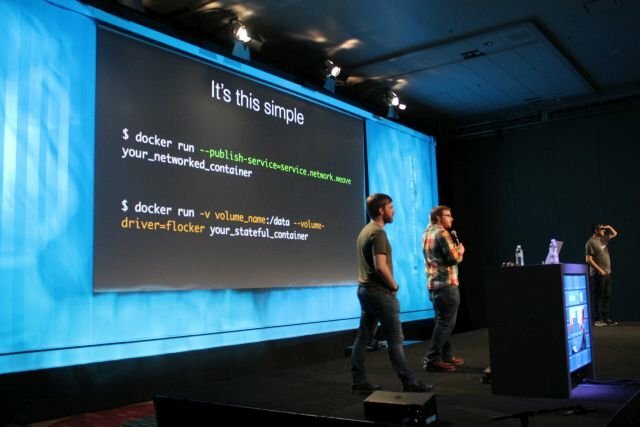 It was a public acknowledgement among Docker’s most well-known supporters that a purely stateless architecture may not only be infeasible, but could actually be a bad idea. Luke Marsden only drove that point home, during an interview later Monday with The New Stack. One example he offered was WordPress, which mixes state into its app and has been criticized for having done so. “No disrespect to the WordPress folks, but that style of application design has largely gone away with the 12-factor manifesto from Heroku. But every application has data at its core. There will always be a database, key/value stores, caching layers, that need to be deployed as part of applications. So the transitions from so-called ‘stateful architectures’ to ‘stateless architectures’ are just ones where the application tier becomes stateless, but not where apps don’t have databases in them any more. The move from testing to production was a consistent theme throughout many of Monday’s presentations, and also the topic of discussion outside those sessions. There appeared to be measurable relief among many participants Monday that purely stateless applications was no longer being presented as an ideal state for 5, 10, or 20 years into the future. Maybe statelessness has its place in microservices architecture, but perhaps that’s not everyplace. “When Heroku originally came up with the idea that applications should be stateless,” remarked Marsden during his interview with us, “they did themselves a great favor by avoiding having to solve the hard problems of managing stateful containers, by convincing developers that they should not put state in their app, and by creating an ecosystem of externalized data services that makes sense in the Heroku world. In a completely public PaaS, you can have these specialist companies that get really good at managing Mongo on AWS, and because it’s AWS it’s in the same region, so the latencies are low enough that it works for the app to just connect to this public thing. But the great thing that Docker has done is make applications portable across different environments. More of our interview with Luke Marsden, along with his boss, ClusterHQ CEO Mark Davis, later in The New Stack.